Elisaveta "Leiza" Dolghih is a partner in the Dallas office of Lewis Brisbois and a co-chair of the firm’s Trade Secrets & Non-Compete Disputes Practice. 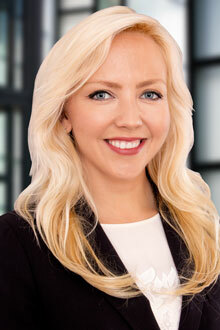 Selected to The Best Lawyers Under 40 in 2019 and 2018 and The Best Lawyers in Dallas in 2017 by D Magazine, and Top 50 Female Attorneys in Dallas in 2018 by Texas Diversity Council, she focuses on prosecuting and defending misappropriation of trade secrets and breaches of non-compete and non-solicitation agreements. After graduating from law school at 23 years old, Leiza began honing her litigation skills in courtrooms across Texas. She now routinely assists companies with obtaining temporary restraining orders, and temporary/preliminary injunctions to prevent the departing employees or competitors from violating non-disclosure, non-compete, or non-solicitation agreements or using the clients' trade secrets. She also defends companies unfairly accused of trade secrets misappropriation and related claims, and advises clients on how their trade secrets protection measures can be improved to meet the federal and state law requirements. Leiza currently serves on the Trade Secrets subcommittee of the Texas Bar Intellectual Property Section, and as part of her work on that committee, helped draft the 2017 amendments to the Texas Uniform Trade Secrets Act. With over a decade of experience, Leiza's practice also includes business litigation in state and federal courts and general employment advice to companies regarding compliance with federal and state employment laws, investigations, and litigation of employment law claims. Leiza is a frequent speaker and writer on Employment and Trade Secrets issues, and she regularly publishes legal updates on her blog, the North Texas Legal News Blog. Obtained multiple temporary restraining orders and temporary injunctions on behalf of employers all across Texas, ensuring preservation of their business and protection of trade secrets. Assisted employers with investigation of trade secrets misappropriation by departing employees and facilitated return of such information to the employers. Successfully defeated applications for temporary restraining orders and temporary injunctions on behalf of competitors. Enforced multiple non-competition, non-solicitation and non-disclosure agreements on behalf of clients. Assisted clients in auditing their trade secrets protection measures and improve such measures to afford the best protection under federal and Texas law. Leiza represented clients in disputes involving breach of contract, breach of fiduciary duty, defamation, fraud, Texas deceptive trade practices act claims, breach of partnership agreements, and many other types of business litigation. Leiza serves as an outside general counsel to businesses and provides day-to-day advice on employment issues. She routinely drafts employment agreements and policies, offer letters, and separation agreements and release. 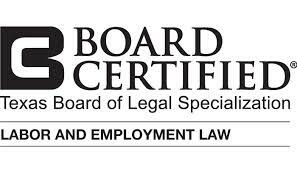 She also advises employers regarding their rights and obligations under FMLA, Title VII, FLSA, ADA, ADEA, OSHA and other federal and state employment statutes, and assists with internal investigations, responding to EEOC charges and government investigations.